The beautiful, traditional architecture of Edinburgh's tenement buildings requires a special approach to gardening and landscaping - often making use of limited space and historic surroundings. Every corner of Edinburgh offers opportunities for stunning garden makeovers. At Gardens Galore, we aim to unlock the potential of the city's outdoor spaces by creating gardens which breathe life into their historic urban surroundings. Our services include landscaping, planting and project management and we design gardens to suit our clients' lifestyles exactly: whether you're looking for low maintenance patios and simple relaxation areas, or immaculate lawns and planting beds ideal for the green-fingered enthusiast. We understand just how important versatility is for many of our clients' gardens - and we specialise in combining stylish features, like decks and seating areas, with innovative, discrete space for parking or building access. From Marchmont to Morningside, Newington to the New Town, whatever you want from your garden, we'll get it done - all you have to do is sit back and admire the results. 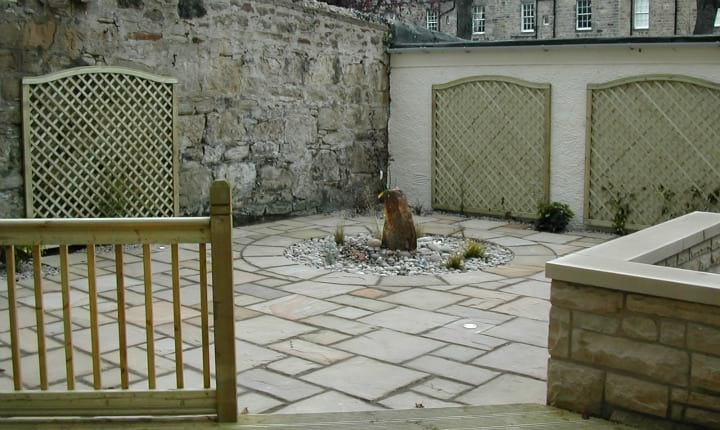 If you would like to discuss a garden project in Edinburgh simply give us a call on 01738 553014 or submit an enquiry form. 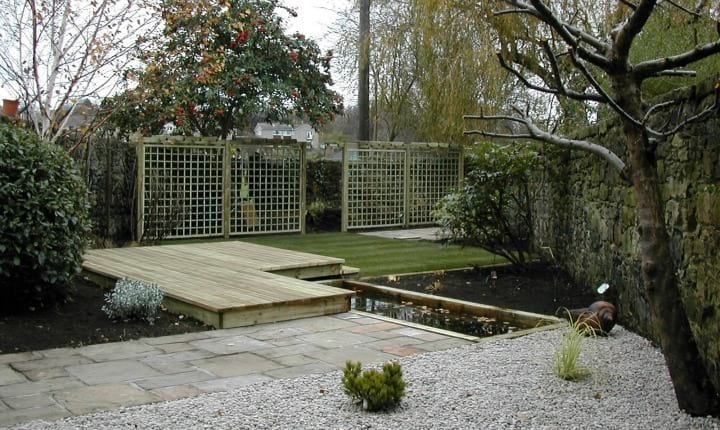 This landscaping project took place near Edinburgh's Botantic Gardens and involved a full garden re-design. Please click the link below to find out more. This re-design project in Stockbridge was approached with easy maintenance in mind. To find out more simply click on the link below. A re-design project using artificial lawn and white gravel to create a garden with a contemporary feel. Please click below to find out more on this project.